TORONTO, ON--(Marketwired - November 05, 2013) - Lynn Coady has been named the 2013 winner of the Scotiabank Giller Prize for her short story collection Hellgoing, published by House of Anansi Press. The announcement was made at a black-tie dinner and award ceremony hosted by Jian Ghomeshi, attended by nearly 500 members of the publishing, media and arts communities. 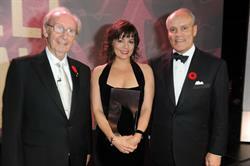 The gala aired on CBC Television at 9 p.m. (9.30 p.m. NT). This year the prize celebrates its twentieth anniversary. "The eight stories in Lynn Coady's Hellgoing offer a stupendous range of attitudes, narrative strategies, and human situations, each complete and intricate, creating a world the reader enters as totally as that of a novel, or a dream. Yet the book as a whole is also magically united by Coady's vivid and iconoclastic language, which brims with keen and sympathetic wit. Whether from the perspective of a writer flailing in the social atmosphere of a professional conference, or a woman trying to extend forgiveness to a lover's abusive father, Coady offers a worldview full of mournful humour, ready indignation, and vertiginous possibility; the reader feels in the presence of life itself." LYNN COADY is the author of the bestselling novel The Antagonist, which was a finalist for the Scotiabank Giller Prize, as well as the novels Mean Boy, Saints of Big Harbour, and Strange Heaven and the short story collection Play the Monster Blind. She has been shortlisted for the Governor General's Literary Award and the Stephen Leacock Medal for Humour, and has four times made The Globe and Mail's annual list of Top 100 Books. Originally from Cape Breton, she now lives in Edmonton, Alberta, where she is a founding and senior editor of the award-winning magazine Eighteen Bridges. During tonight's award ceremony, a roster of celebrity presenters -- Wendy Crewson, Paul Haggis, Jennifer Podemski, Shad and George Stroumboulopoulos -- introduced the shortlisted authors and presented video profiles highlighting their nominated books. The Scotiabank Giller Prize was delighted to congratulate two-time Giller-winner and inaugural jury member Alice Munro, on being named the 2013 recipient of the Nobel Prize for Literature. CBC/Radio-Canada is Canada's national public broadcaster and one of its largest cultural institutions. The Corporation is a leader in reaching Canadians on new platforms and delivers a comprehensive range of radio, television, Internet, and satellite-based services. Deeply rooted in the regions, CBC/Radio-Canada is the only domestic broadcaster to offer diverse regional and cultural perspectives in English, French and eight Aboriginal languages, plus seven languages for international audiences. In 2013, CBC/Radio-Canada has been serving Canadians for 77 years, being at the centre of the democratic, social and cultural life of Canada. CBC Books features all of CBC's rich literary content across all platforms -- audio, video and digital. This one-stop destination for book lovers includes in-depth information on books, exclusive interviews with authors, the latest news stories from the publishing world, bestseller lists, discussions, and blogs. It is an online meeting place where literary enthusiasts can find the books they want to read, connect with other Canadians who love to read as much as they do, and keep up on all of CBC's major literary events and programs such as Canada Reads, the Massey Lectures and Canada Writes. 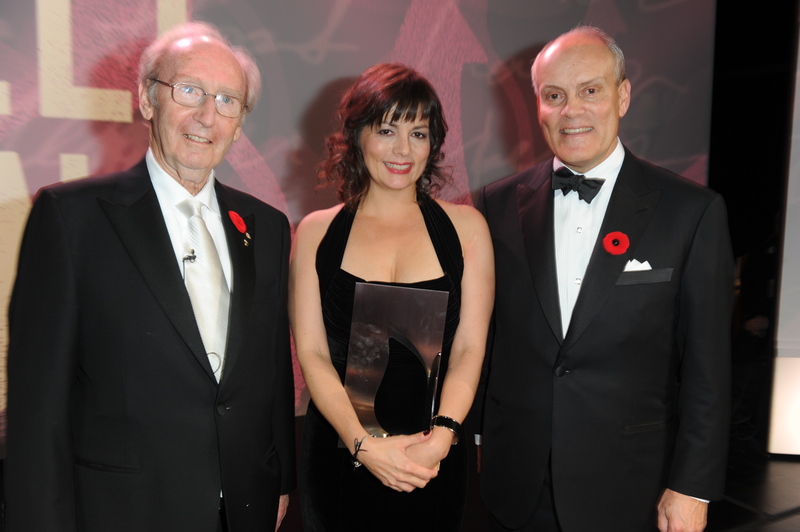 2013 Scotiabank Giller Prize winner Lynn Coady with Founder Jack Rabinovitch and Scotiabank President and CEO Brian Porter. Photo Credit: Tom Sandler.